The One with Noble Paiges: 1st Discussion Reminder! Mark your calendars! THIS SATURDAY - APRIL 12th at 8am Pacific Time I'll be posting discussion topics and questions on this here blog (and Kelsey Noble will have even more questions on her blog along with videos to boot!) 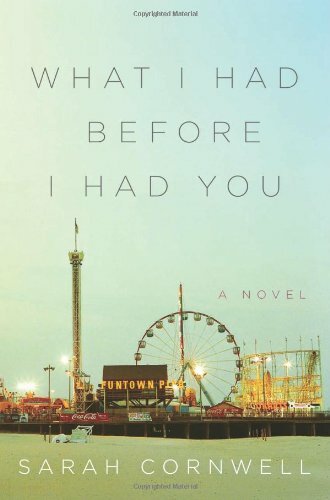 about our first book: What I Had Before I Had You by Sarah Cornwell! *The book club will be held every other month to give you plenty of time to acquire and read the book. *A date will be chosen every other month to "meet" (this time it's Saturday April 12th 2014!). Throughout that day Kelsey and I will update our blogs with new questions, videos, and such, and we can leave comments, interact, and discuss. *If you post anything on Instagram be sure to use hashtag #noblepaiges so your images get in that gallery! *The next book will be decided on the discussion day and revealed at the end. *We'll have a giveaway at the end of each discussion day for next month's book - I can't wait to announce our next read! *Easy peasy lemon squeezy! This is meant to be fun, no pressure, or strings attached! I still need to read this one!! I just read "Heaven is for Real" -- ohhhh I cried all the way thru it! So powerful and wow! Have you read it yet? ?